London Dungeons, the place that smells like feet the whole way through and teaches you about the gruesome history of the capital. 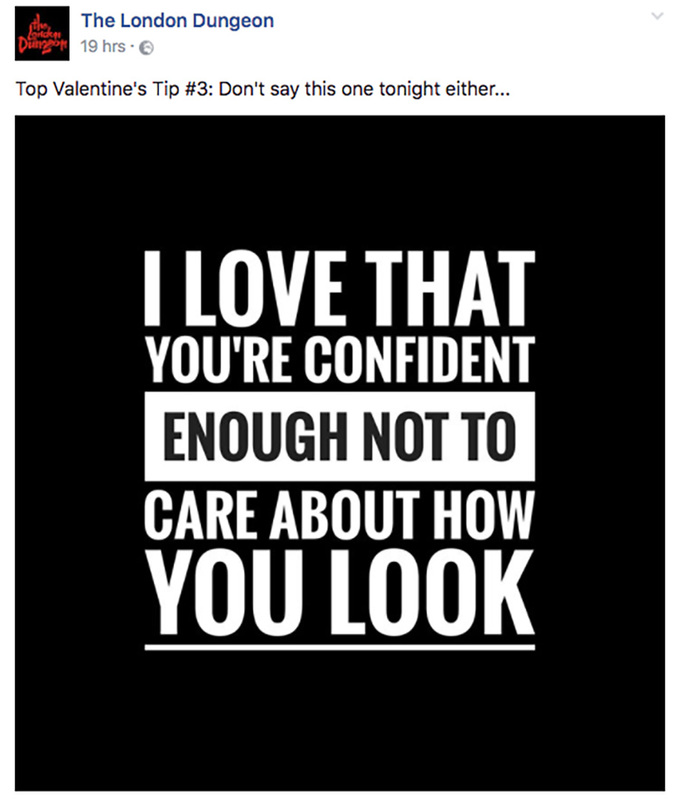 They have caused a huge wave of criticism after their Valentine's day campaign pissed A LOT of people off. 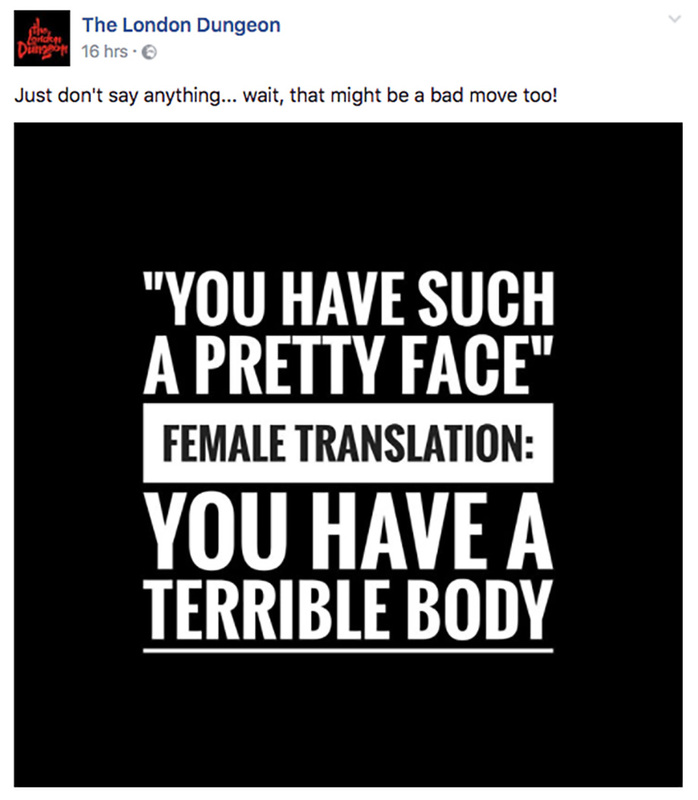 Who is in charge of their social media and campaigns, because this is just taking it way too far. 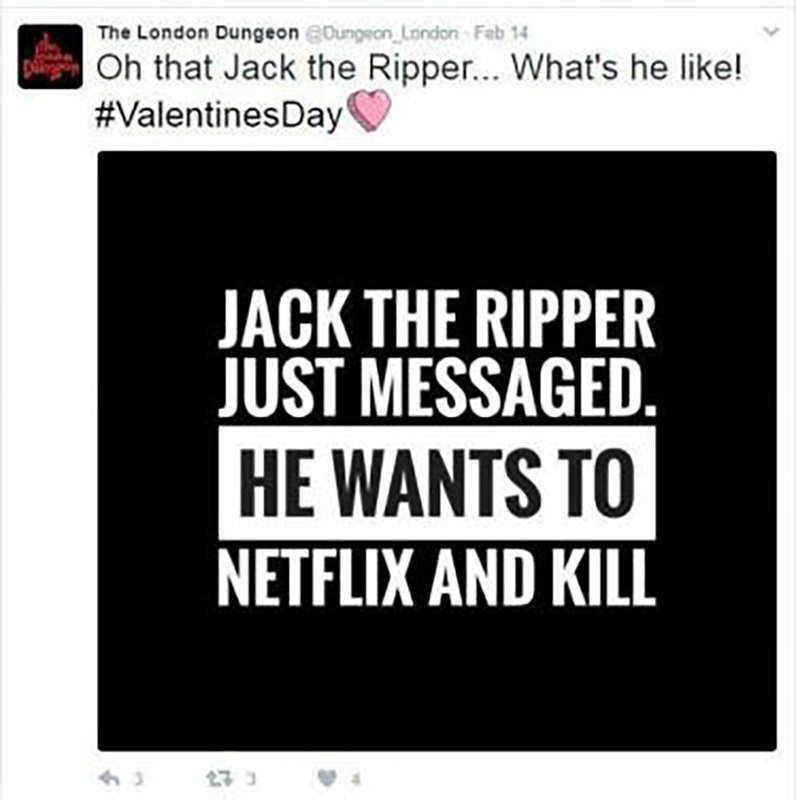 @Dungeon_London What about people who have actually been raped/abused/murdered? It happens EVERY day to women around the world. Not a joke. “We apologise that our social posts caused offence. “Our ‘Dark Valentine’ campaign was a range of posts aimed to highlight the darker side of history and create debate and conversation. “As a brand we strive to entertain our guests so they can enjoy the London Dungeon experience – both in our attraction and on social media. 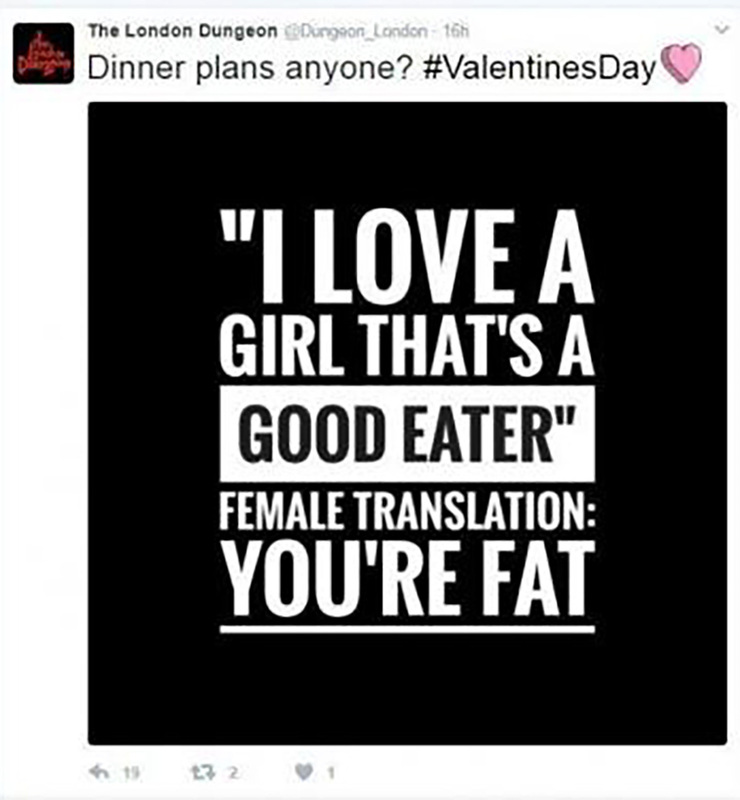 Harmless banter or disgusting and offensive? Grab a free KFC Gravy Candle - Yes you read that right! 4 ways to travel the world for FREE! You won't find the words "financial advisor" anywhere on our CV, because we're journalists. SMS wants to help you live the life you want on the budget you're stuck with but we aren't the Economic Bible, so please don't take our word as gospel as we can't accept any liability if our tips aren't right for you – everyone's different, after all. We read our links before posting them but we aren't responsible for their content. Quickly, we need to verify you're a student first. StudentConnect, is our brand new student verification platform. You can sign up using your uni portal or your academic email ( ending in .ac.uk or .edu ). Also if you already have a StudentMoneySaver account, you can use the same email and password to log in. Hurry, some of them will expire soon!